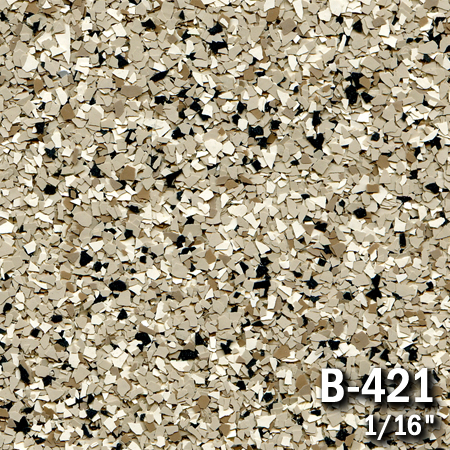 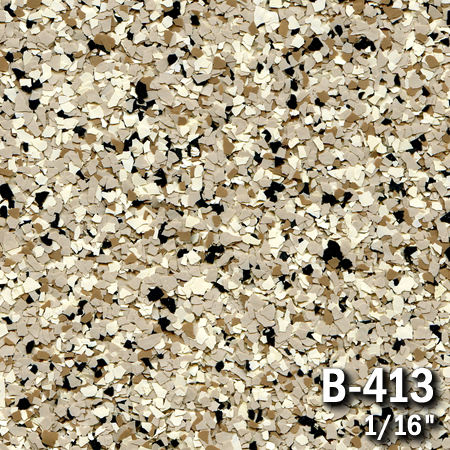 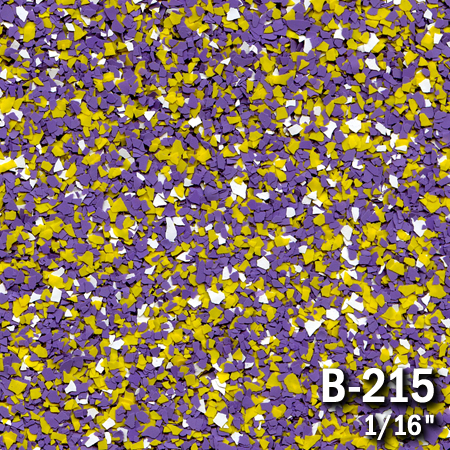 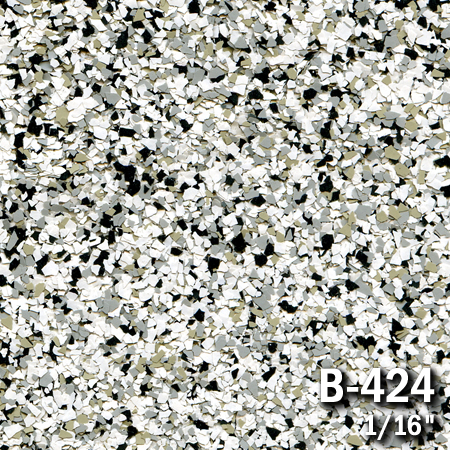 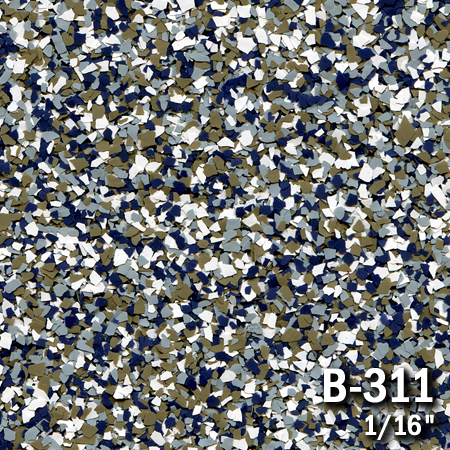 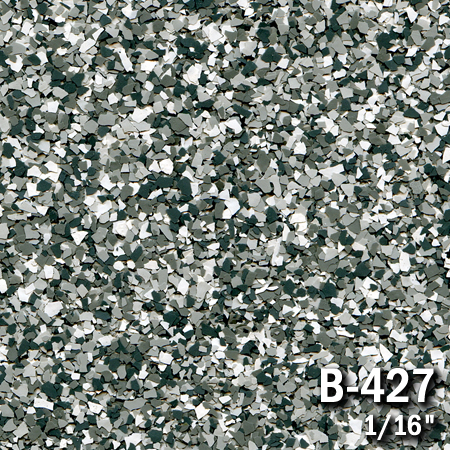 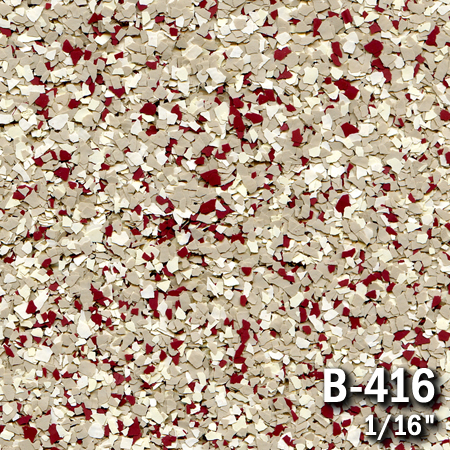 Epoxy Flake Floors can literally come in any color or color combination you can think of. 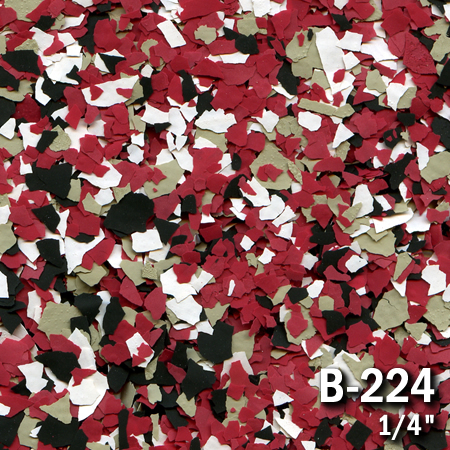 From solid black to Ruby red, we’ve got you covered. 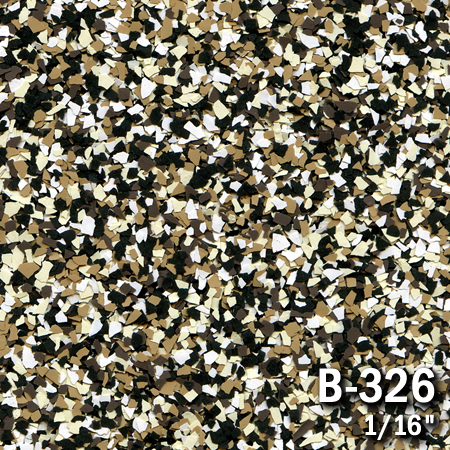 You can mix and match colors to design your floor and accent any decor. 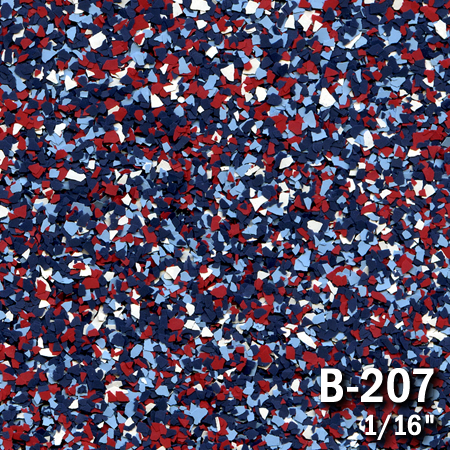 Our epoxy flakes are specially formulated paint aggregates used to enhance the aesthetic qualities of our epoxy flake floors. 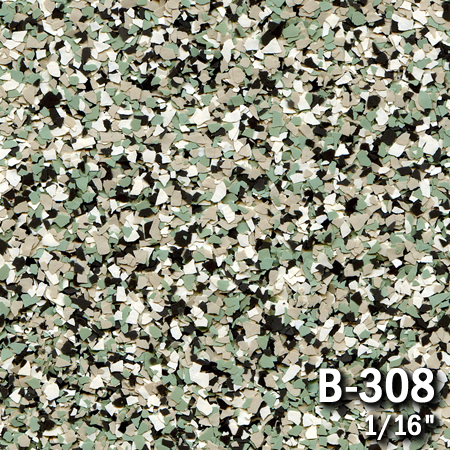 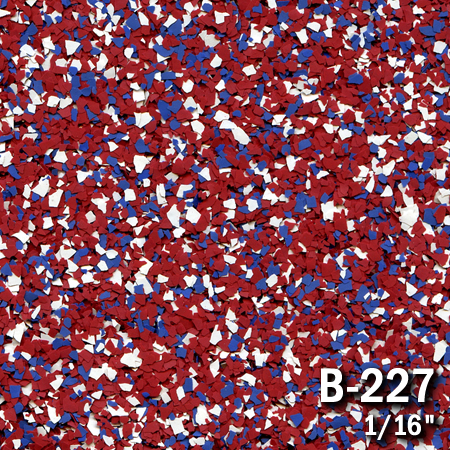 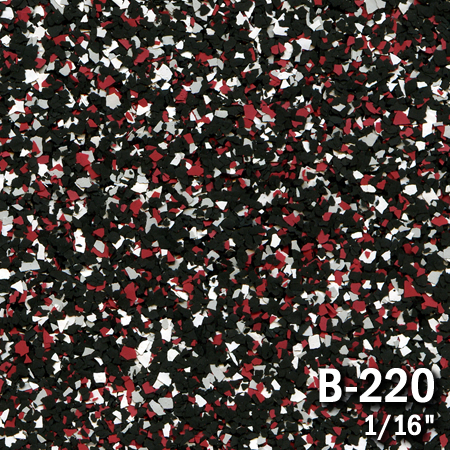 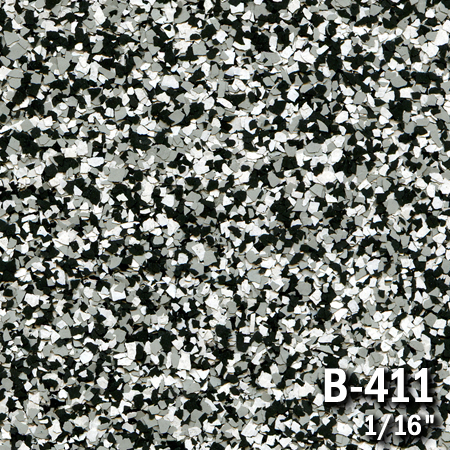 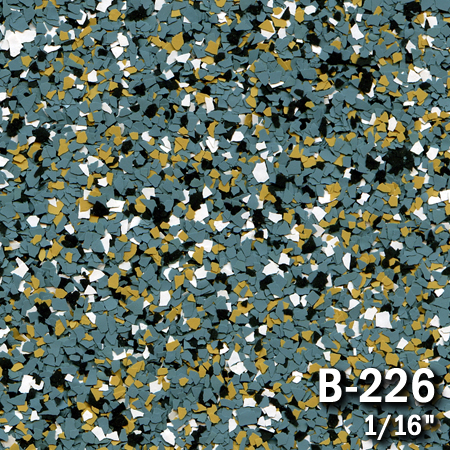 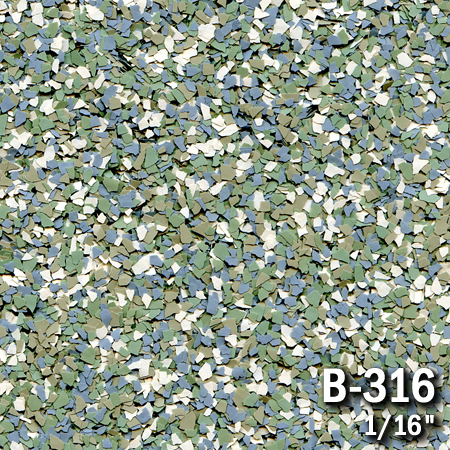 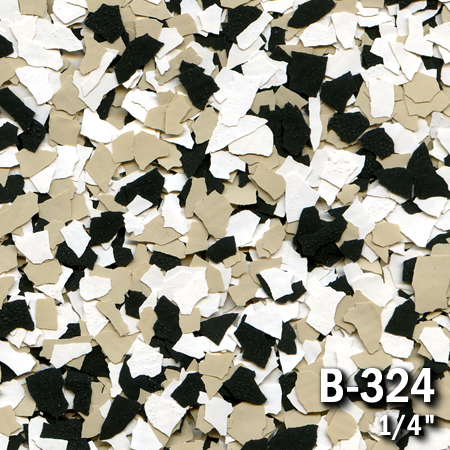 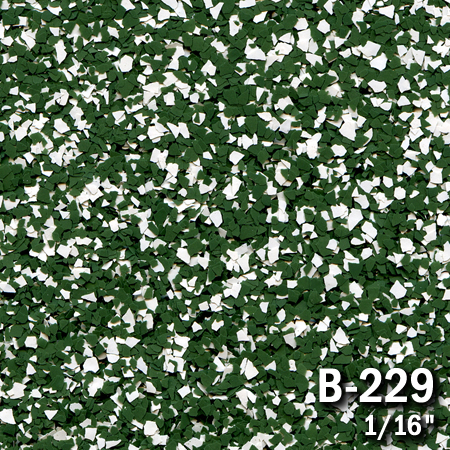 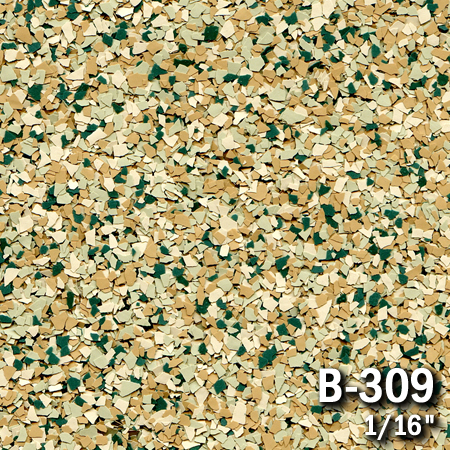 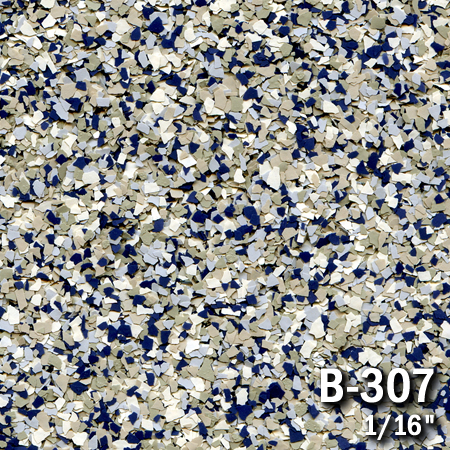 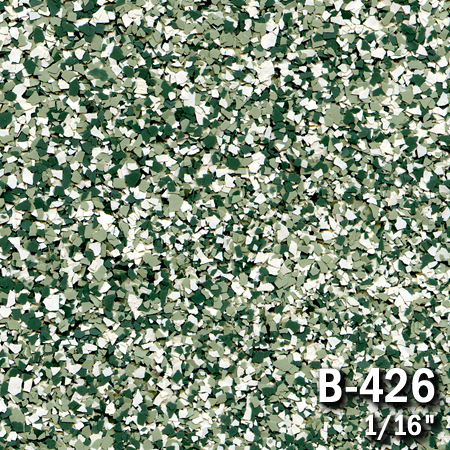 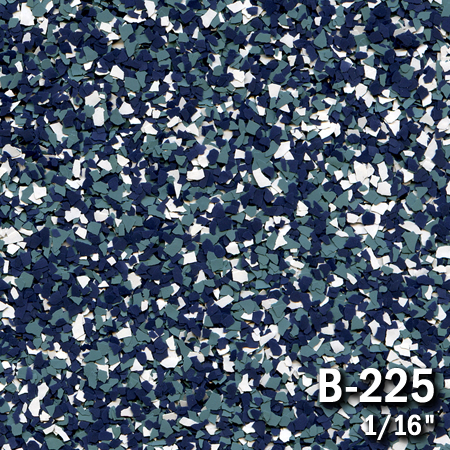 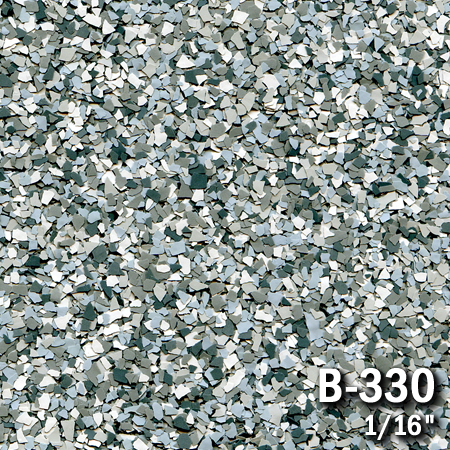 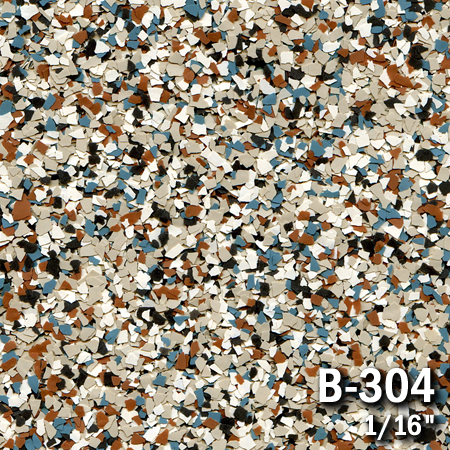 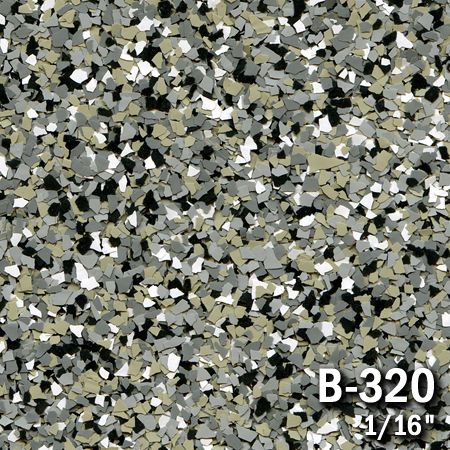 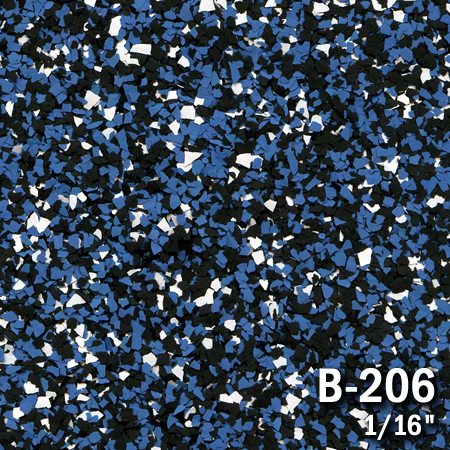 It is a seamless, resin-based chip/flake flooring system. 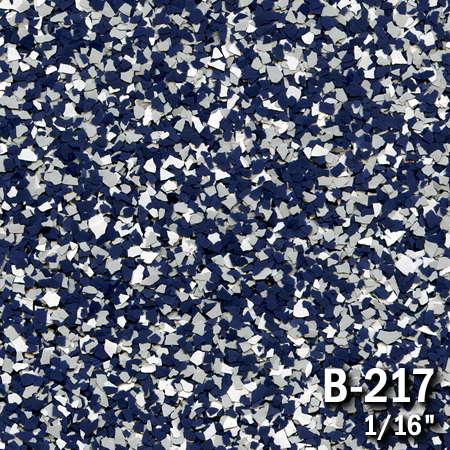 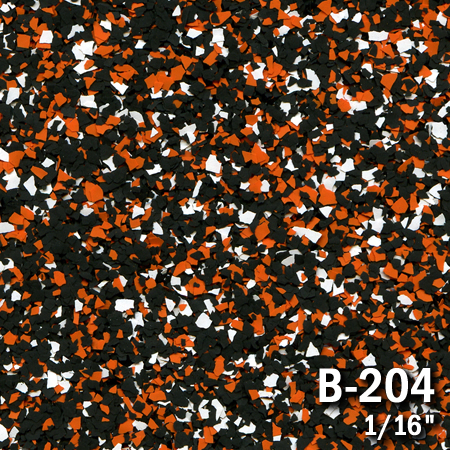 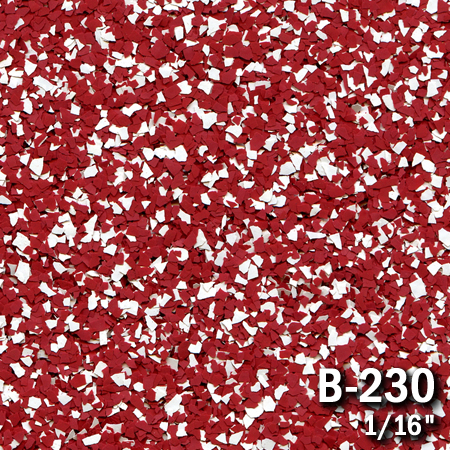 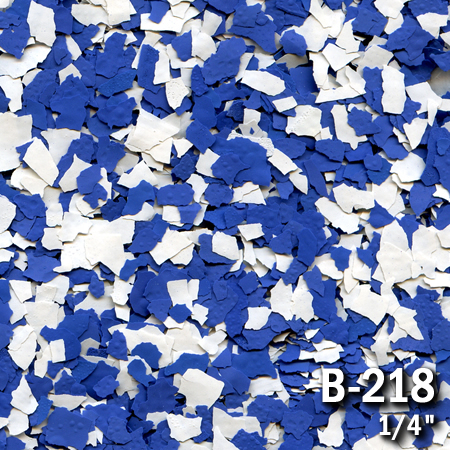 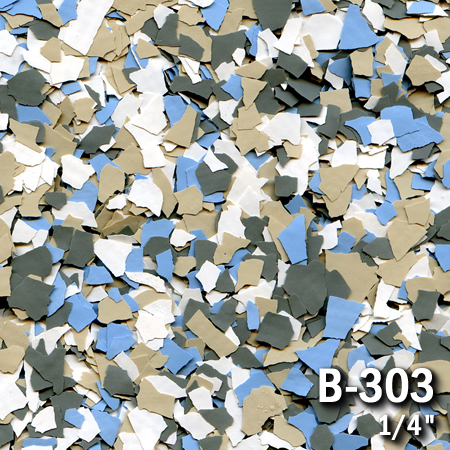 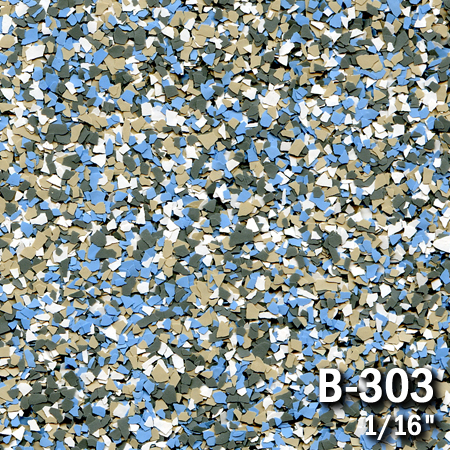 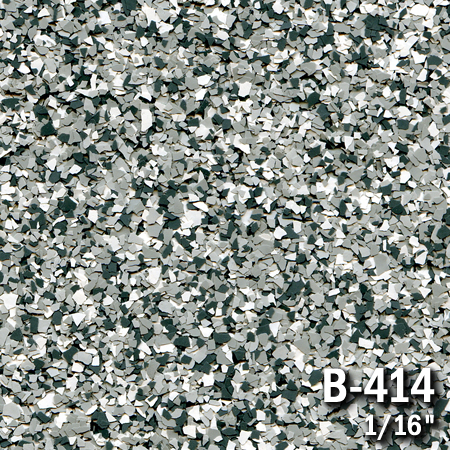 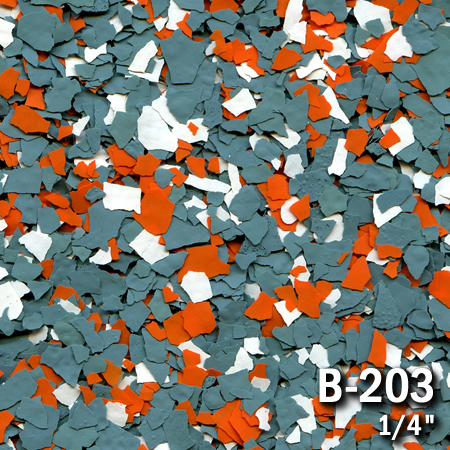 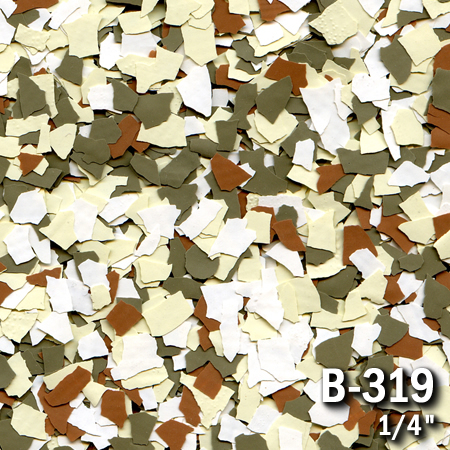 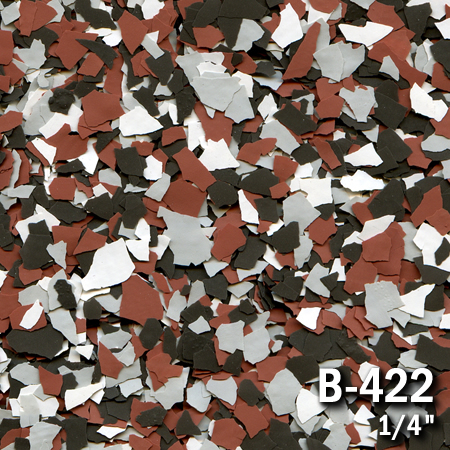 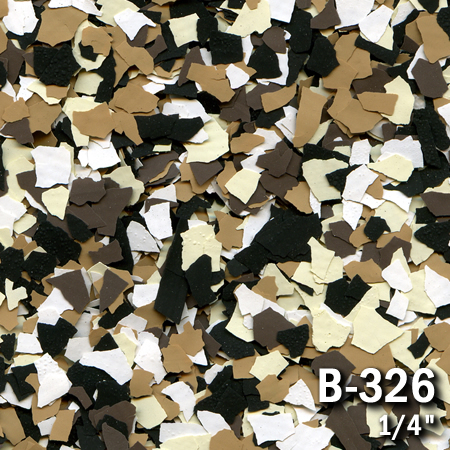 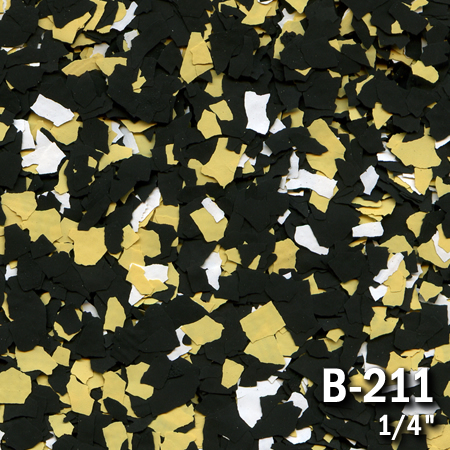 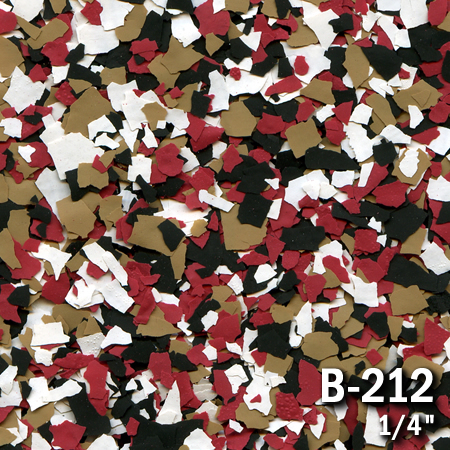 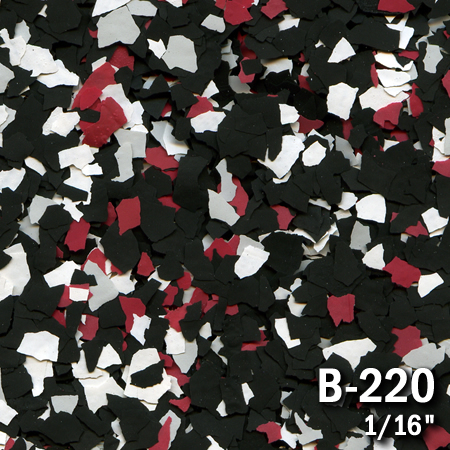 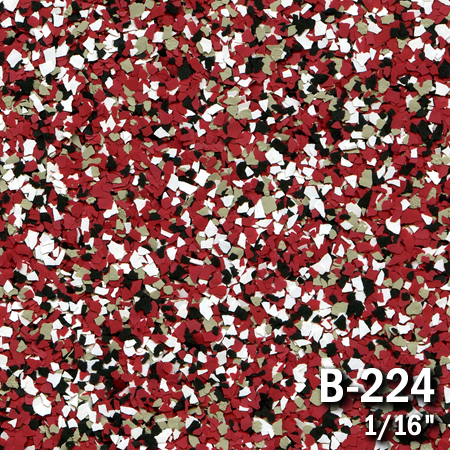 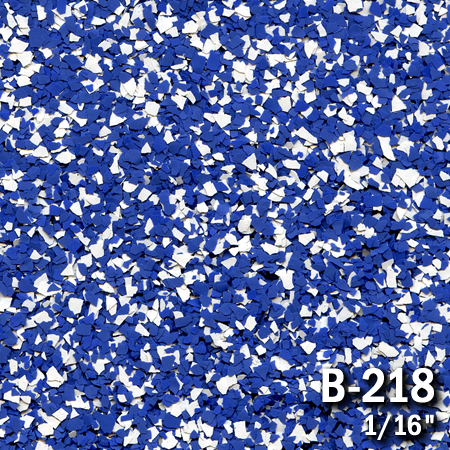 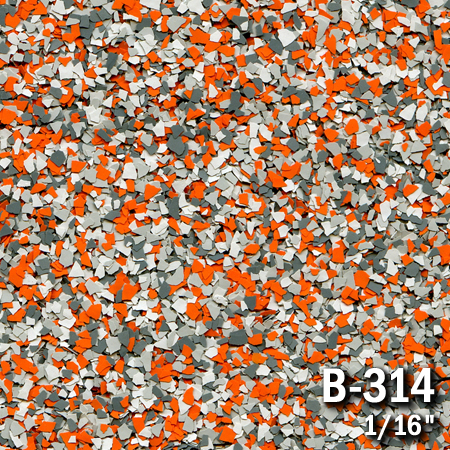 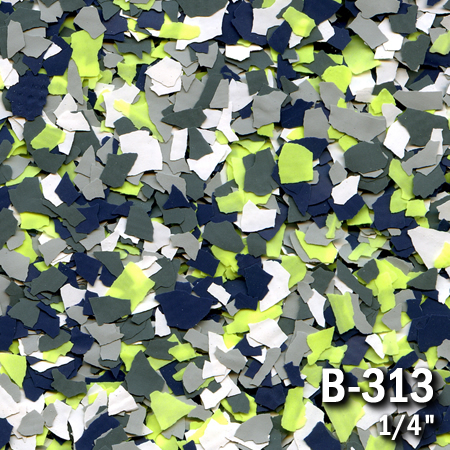 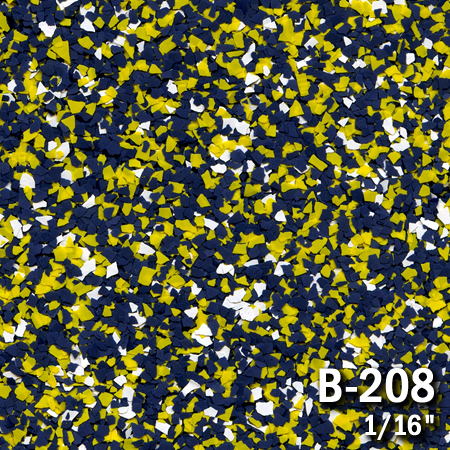 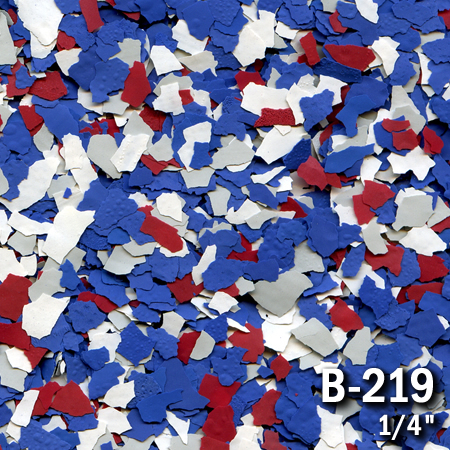 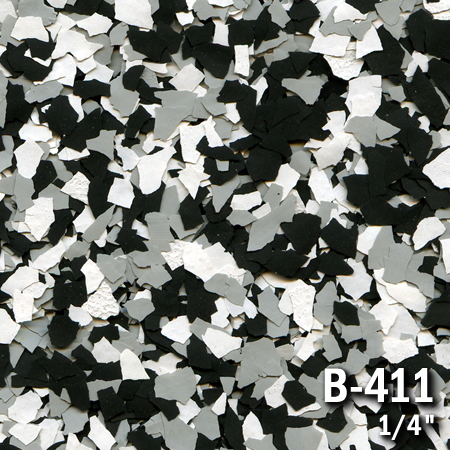 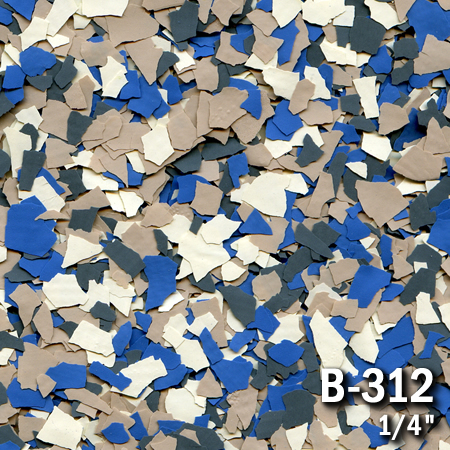 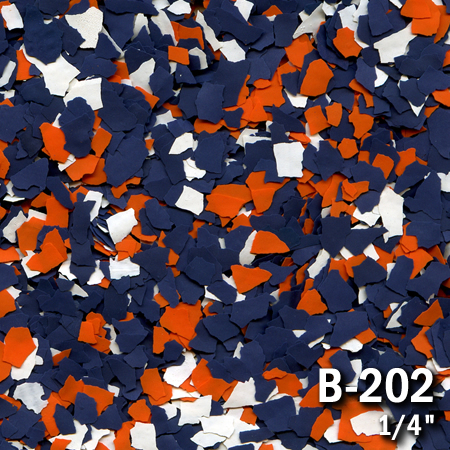 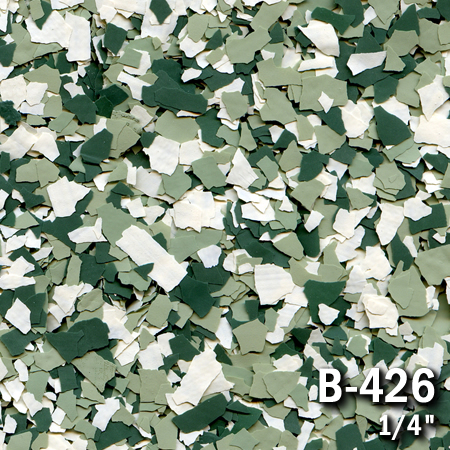 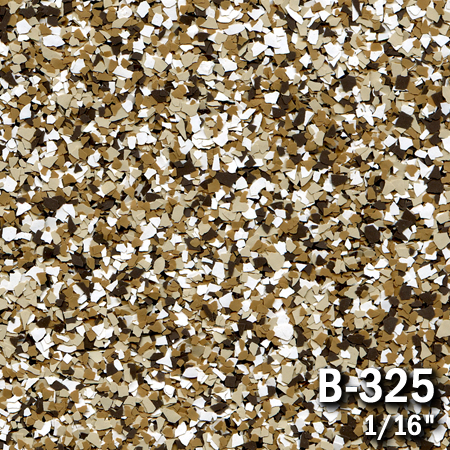 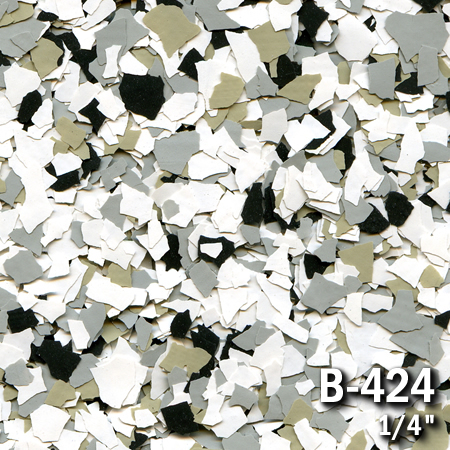 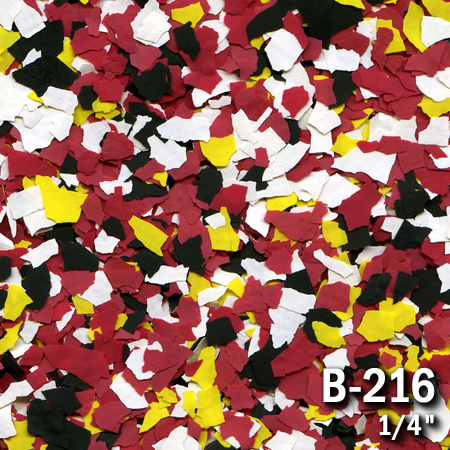 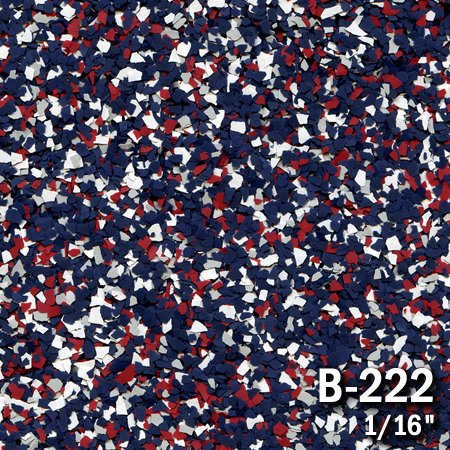 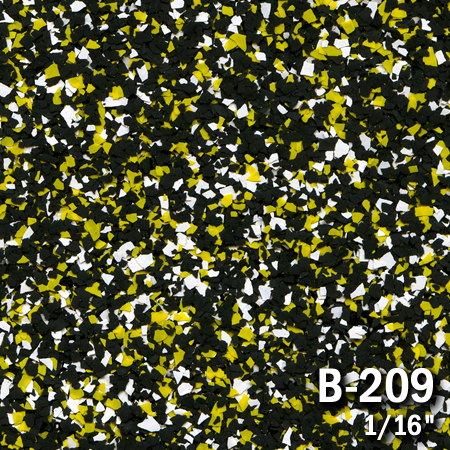 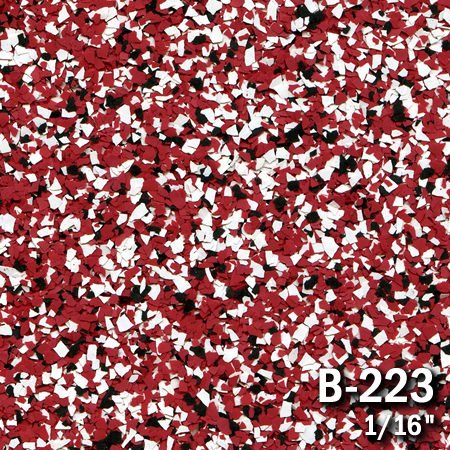 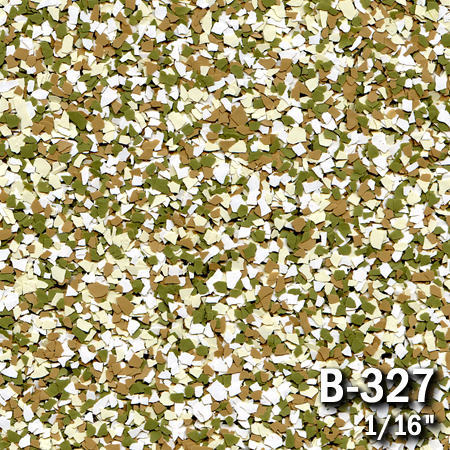 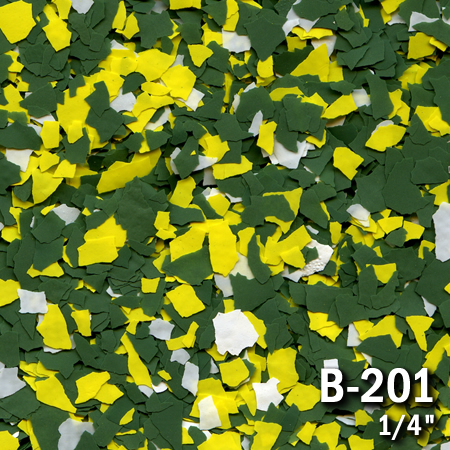 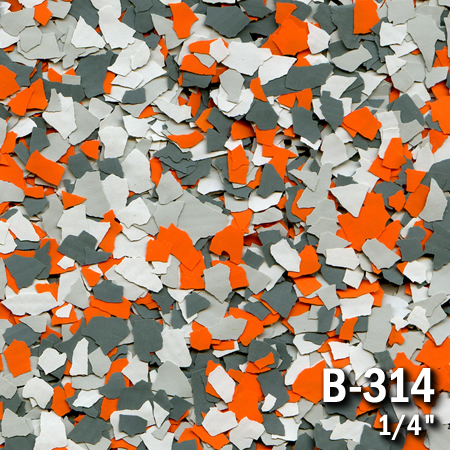 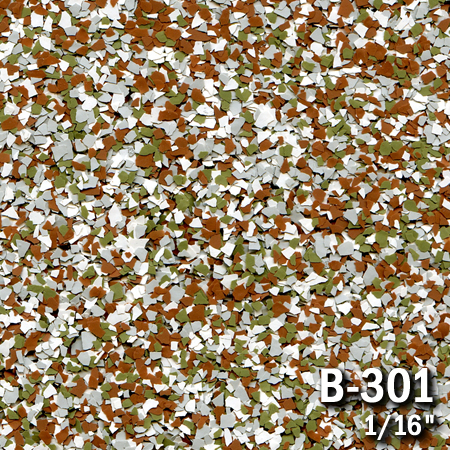 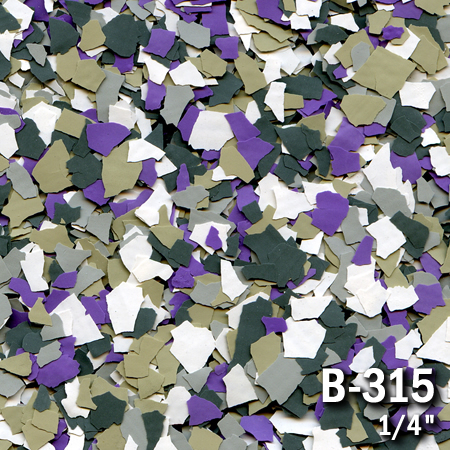 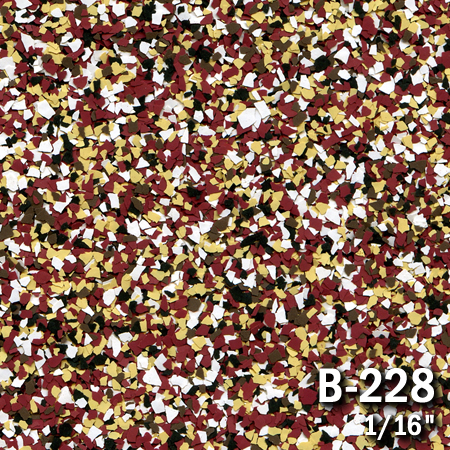 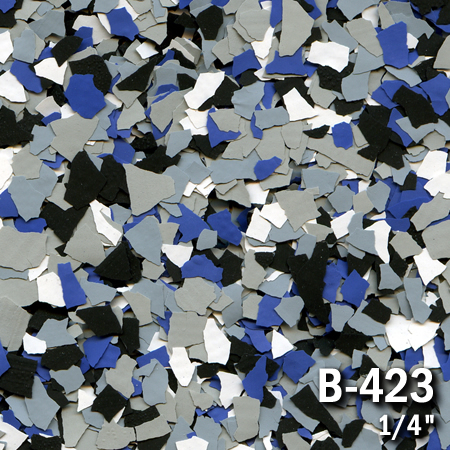 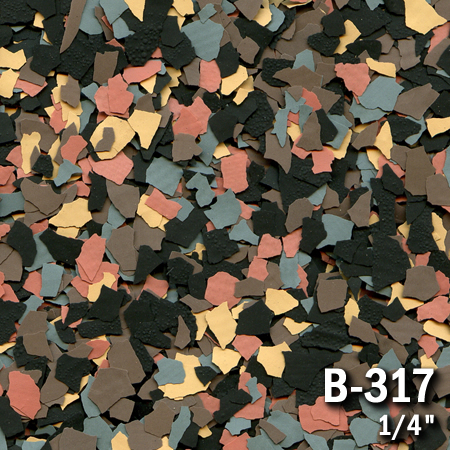 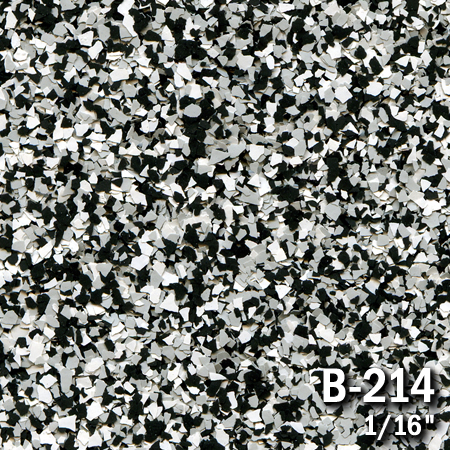 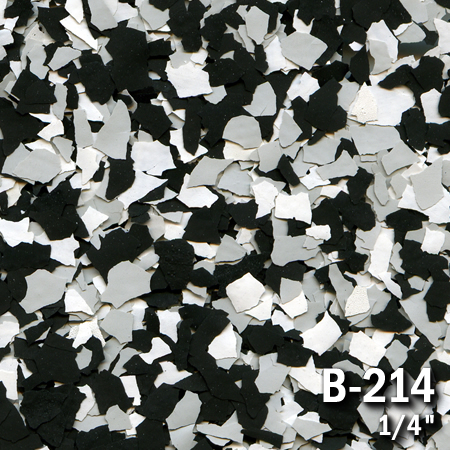 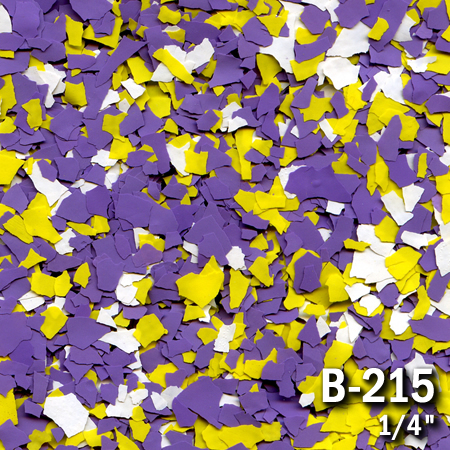 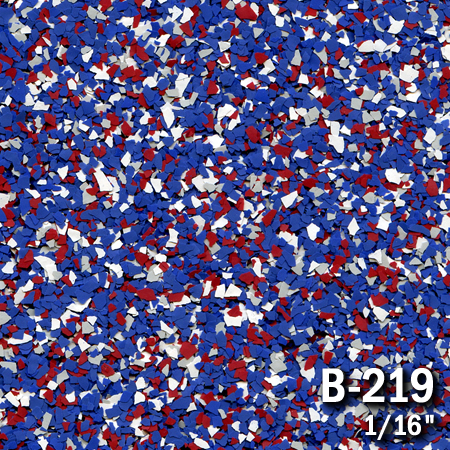 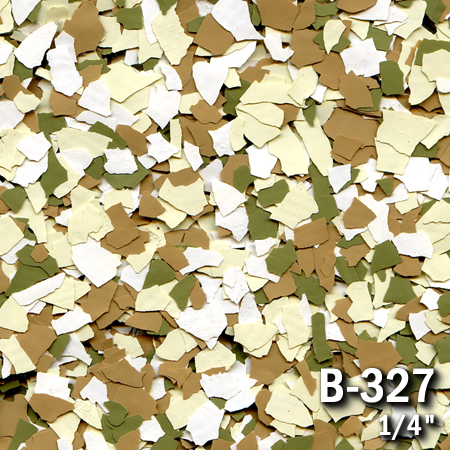 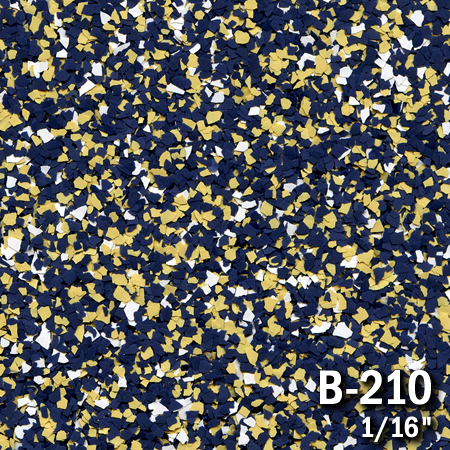 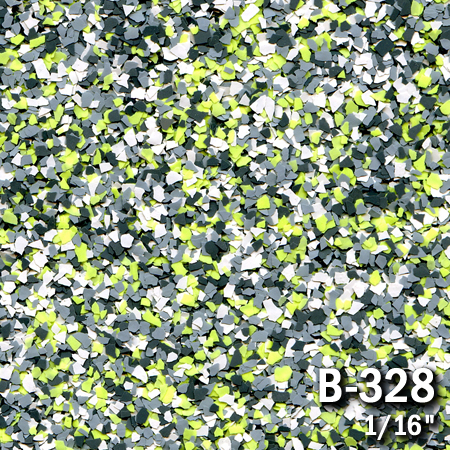 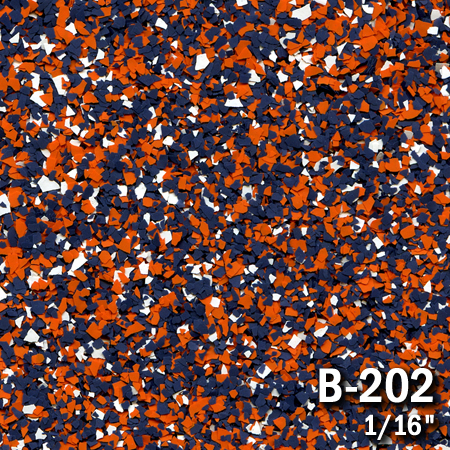 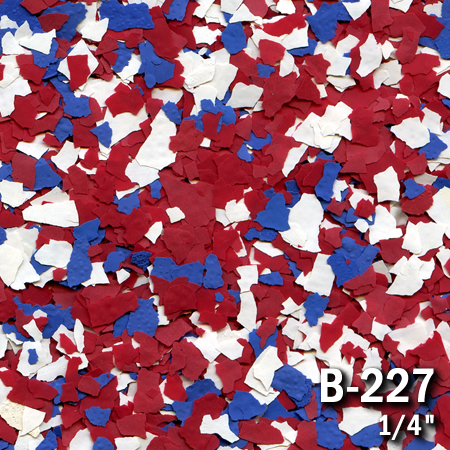 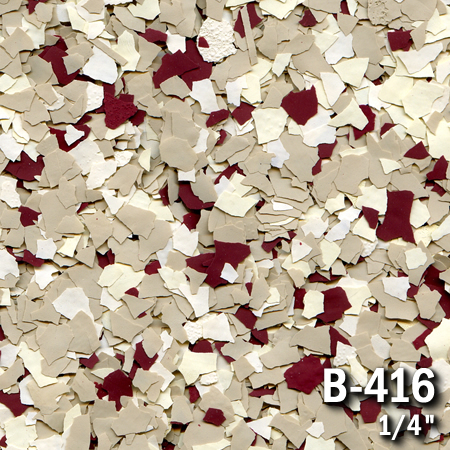 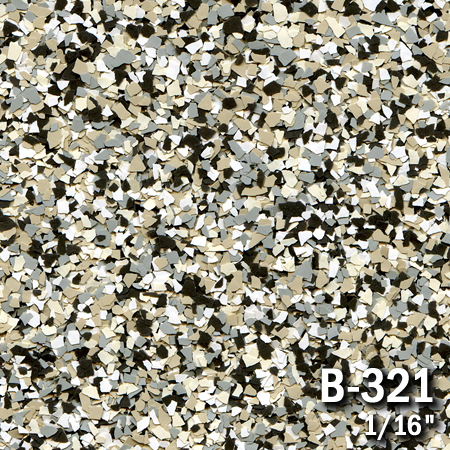 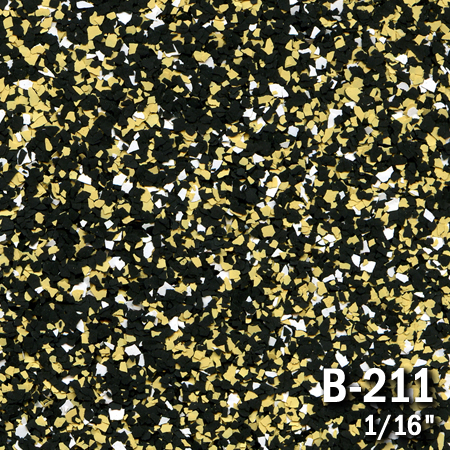 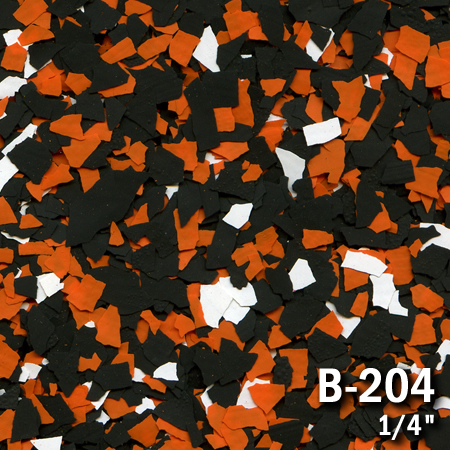 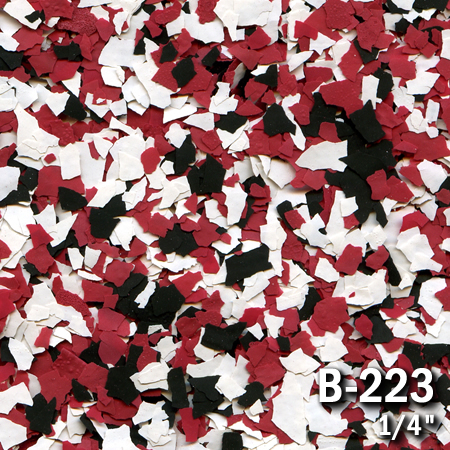 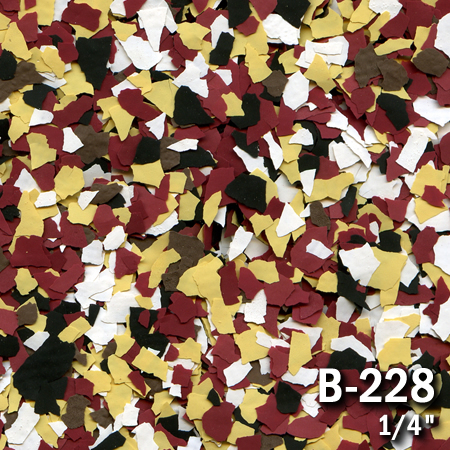 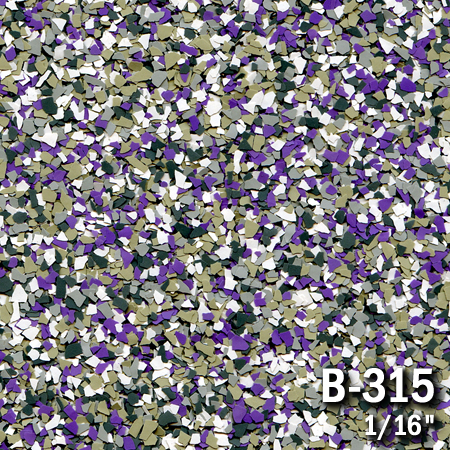 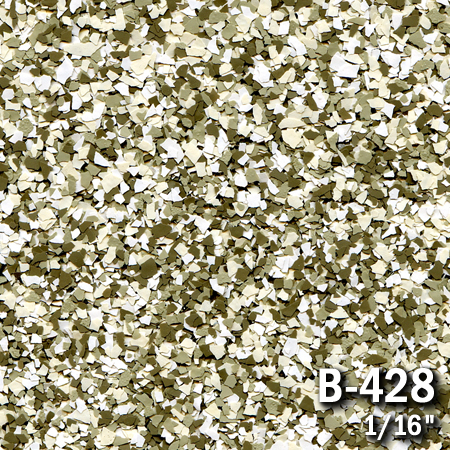 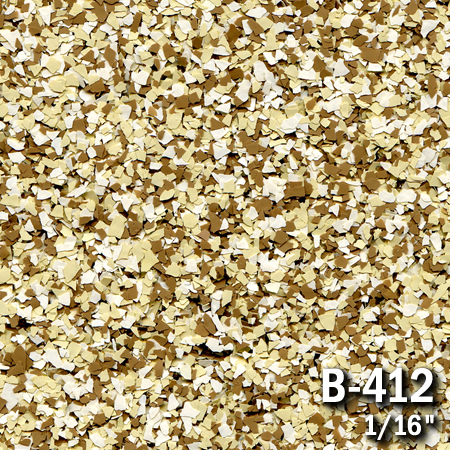 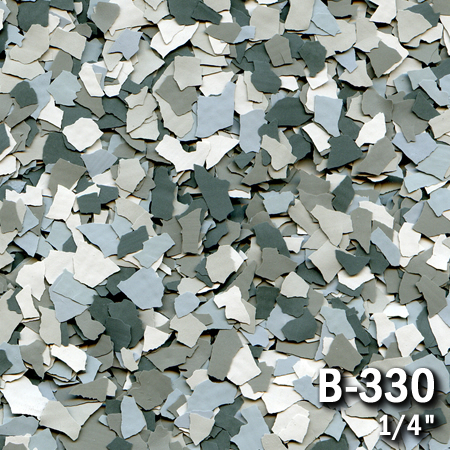 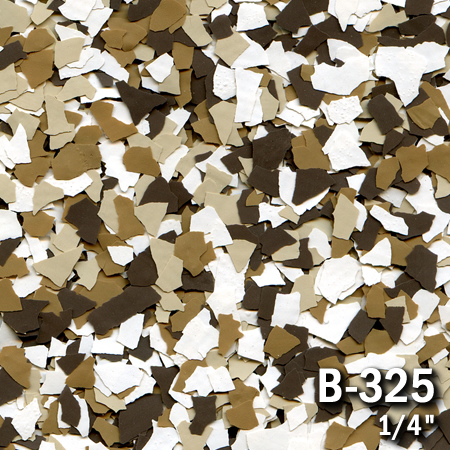 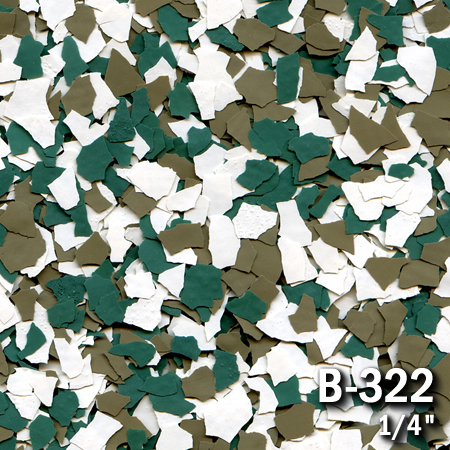 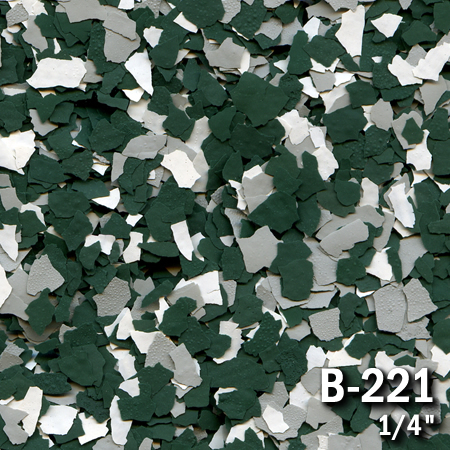 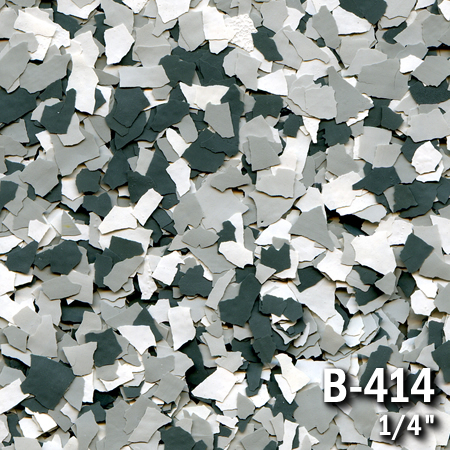 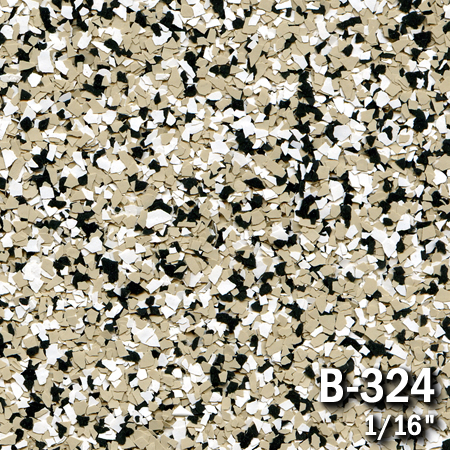 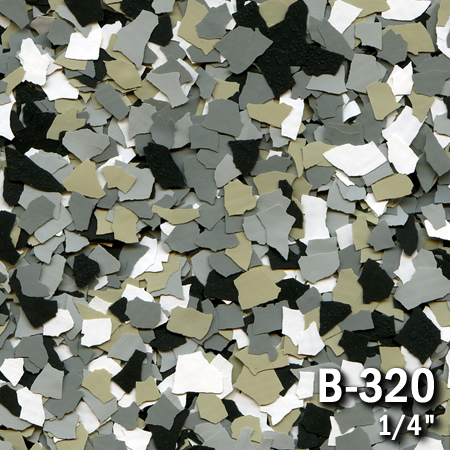 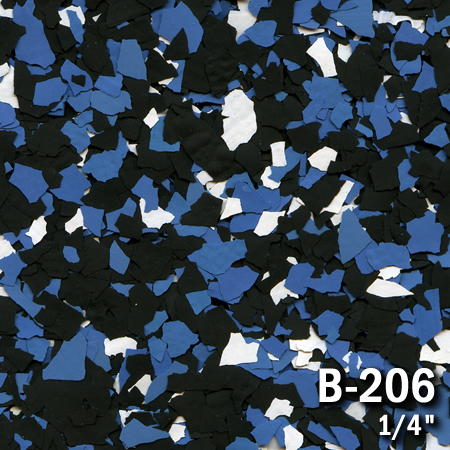 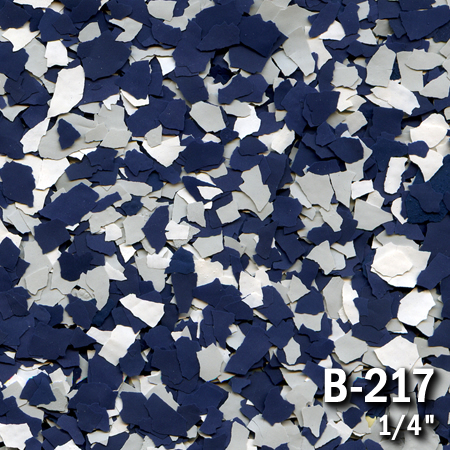 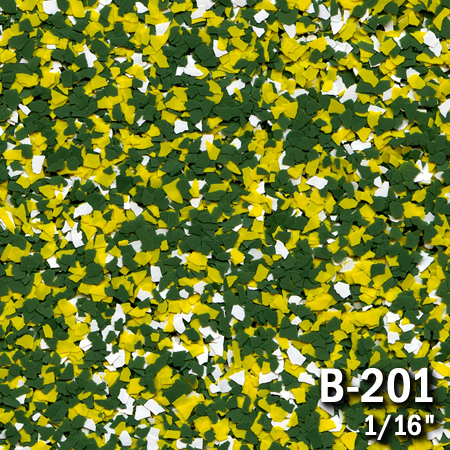 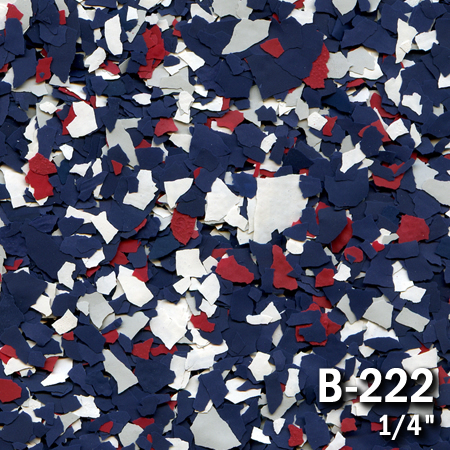 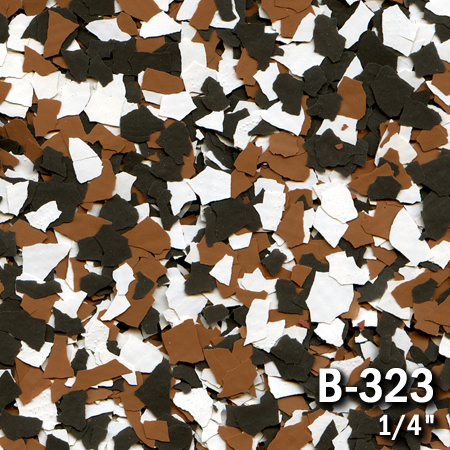 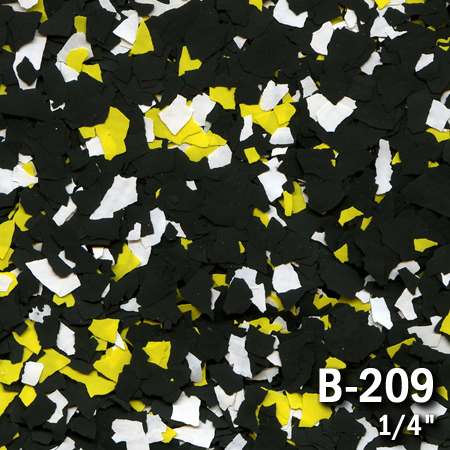 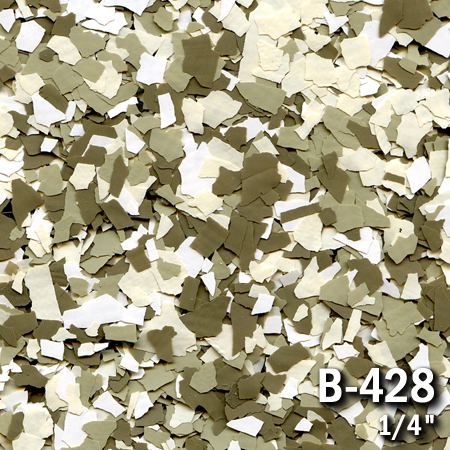 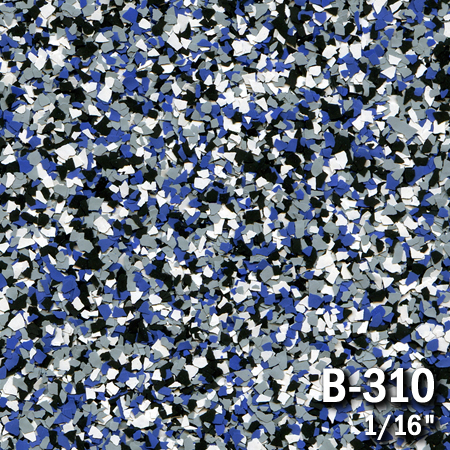 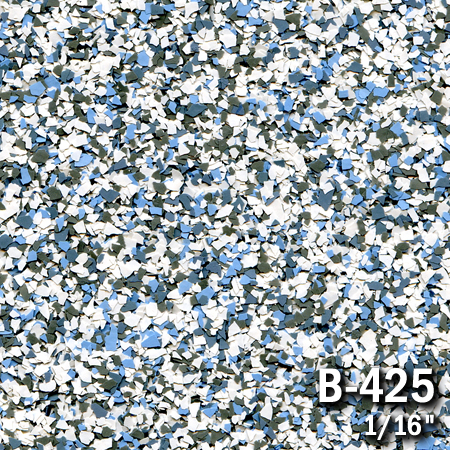 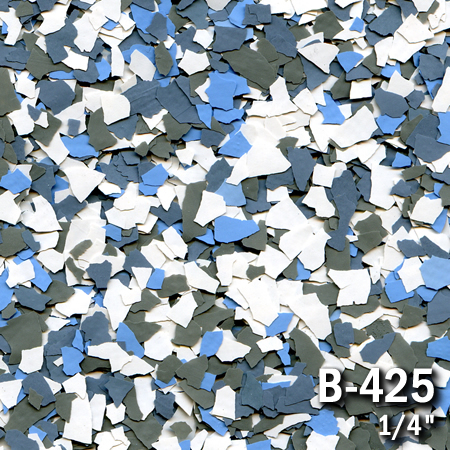 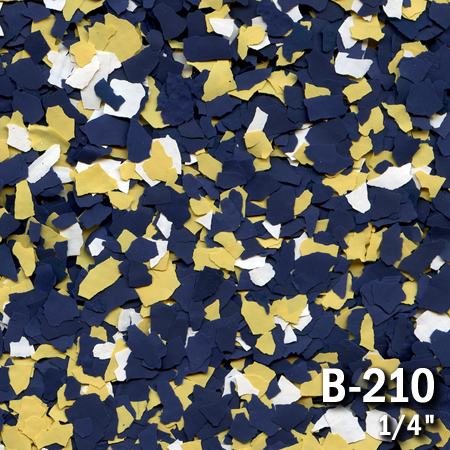 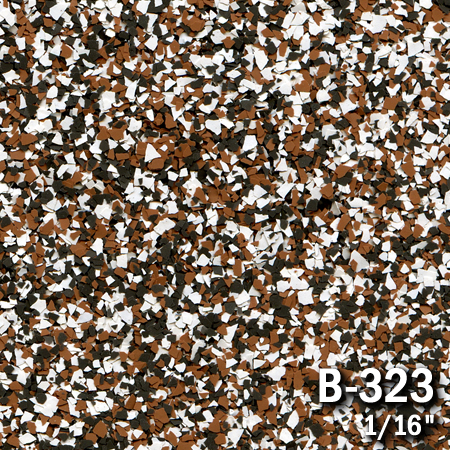 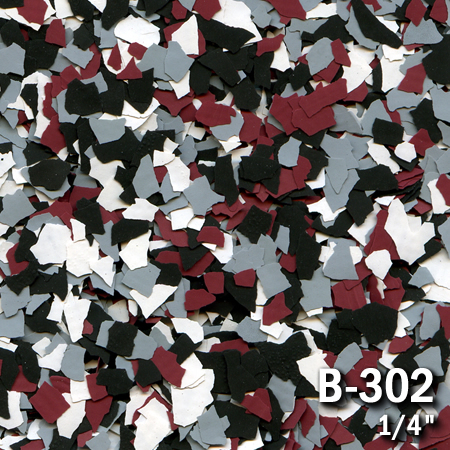 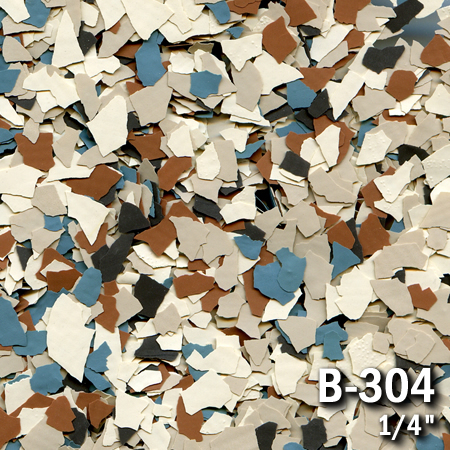 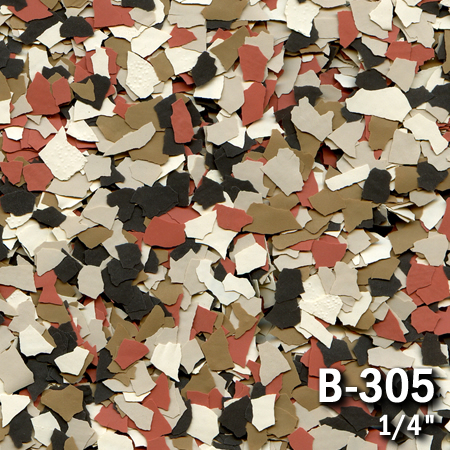 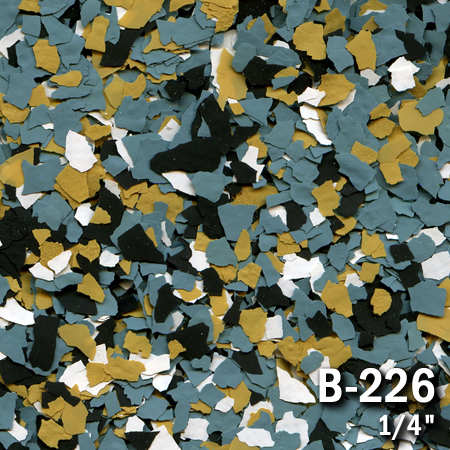 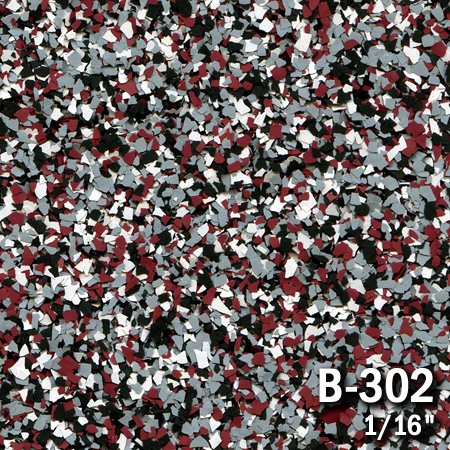 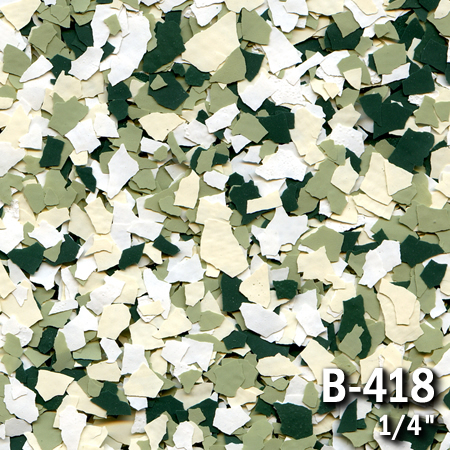 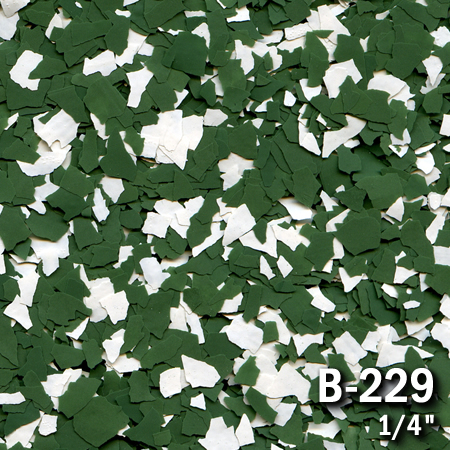 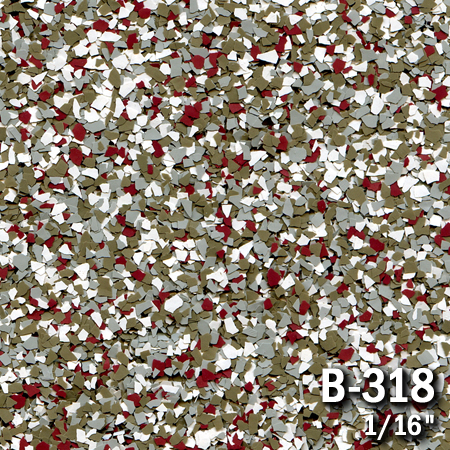 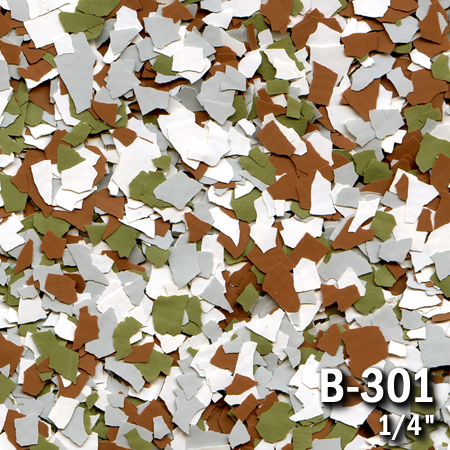 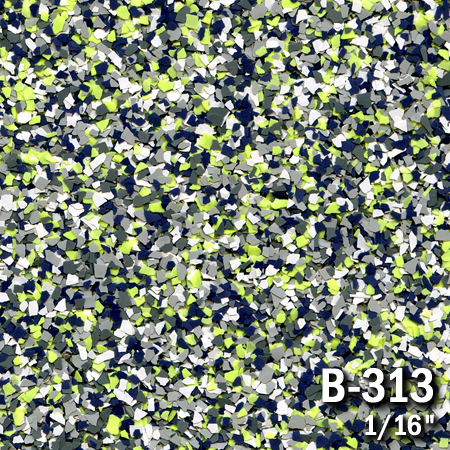 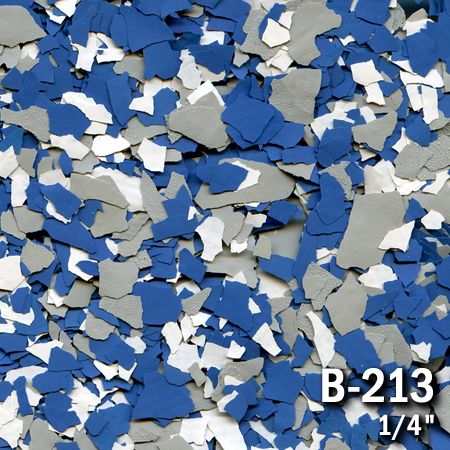 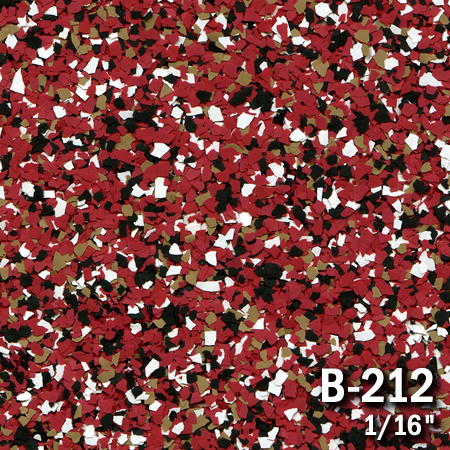 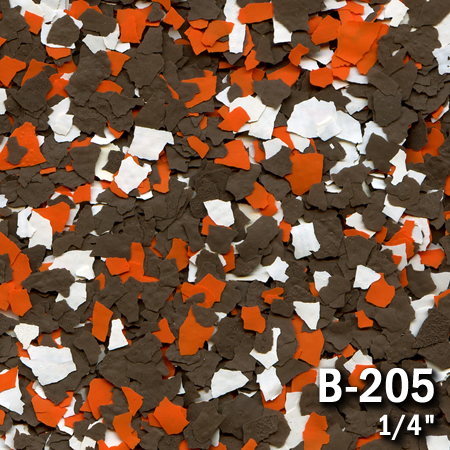 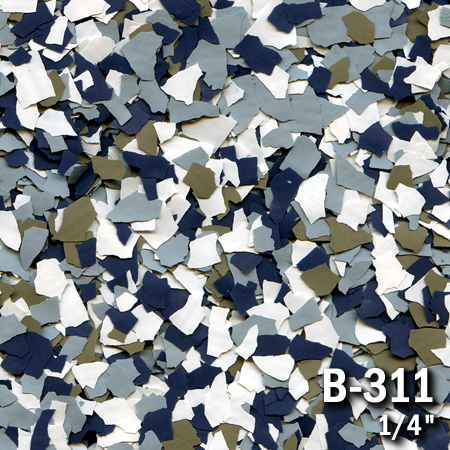 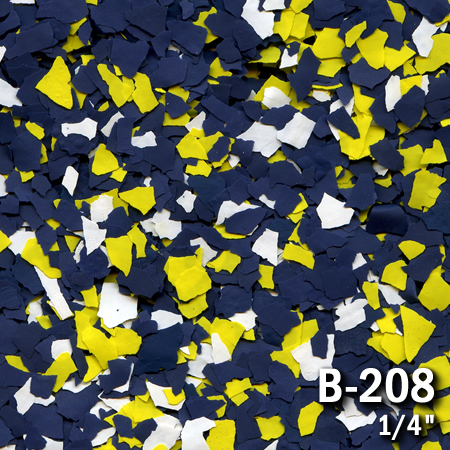 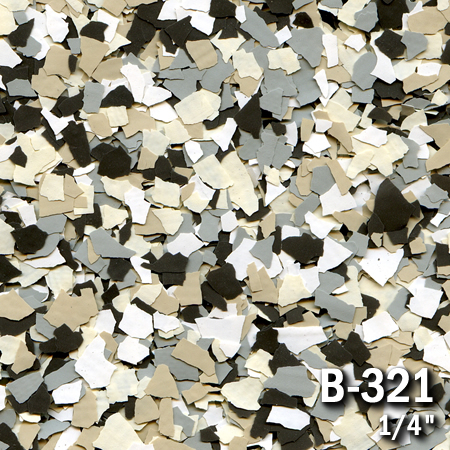 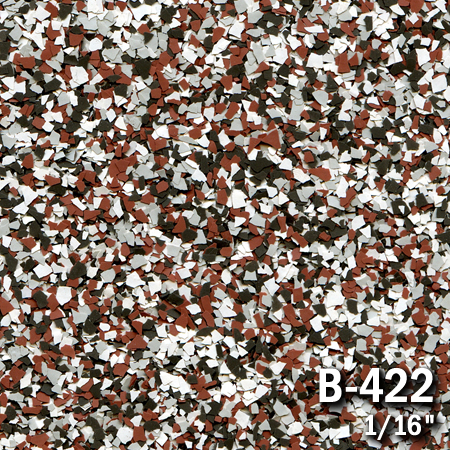 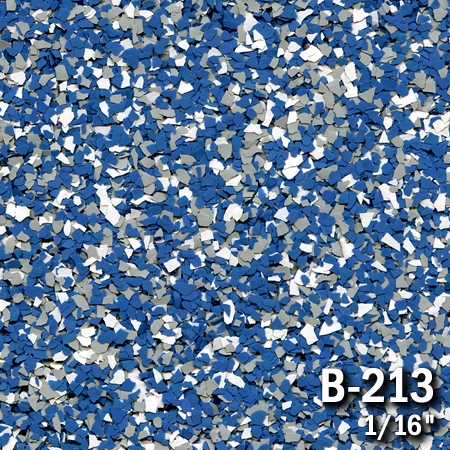 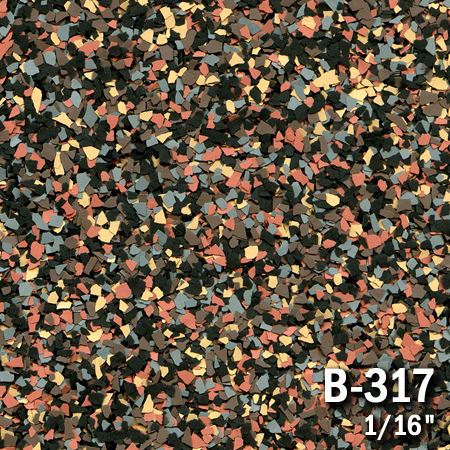 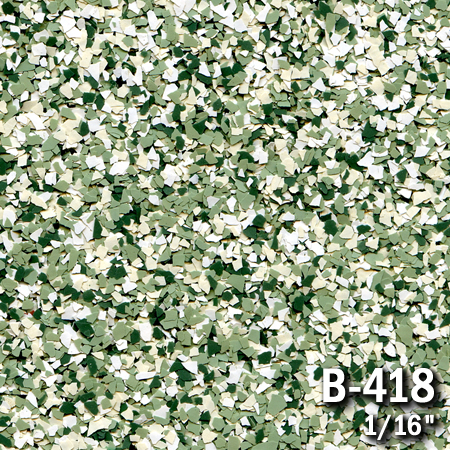 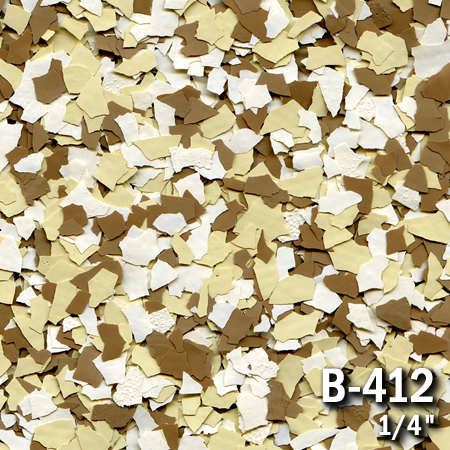 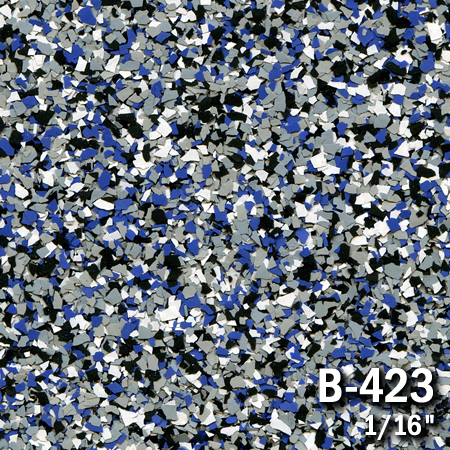 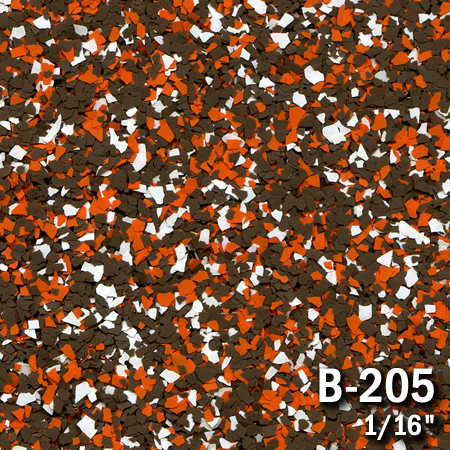 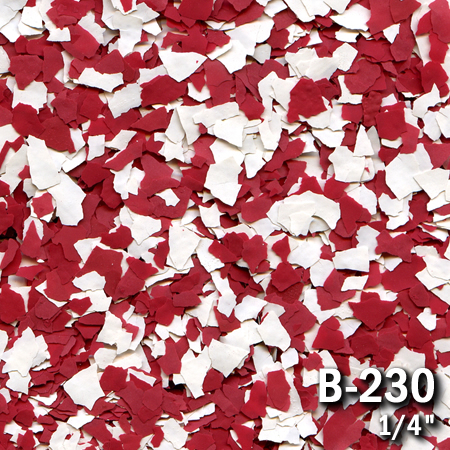 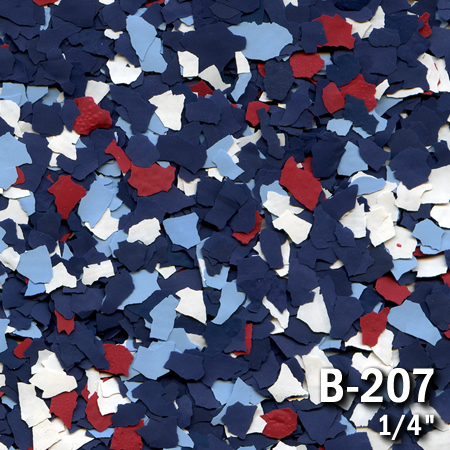 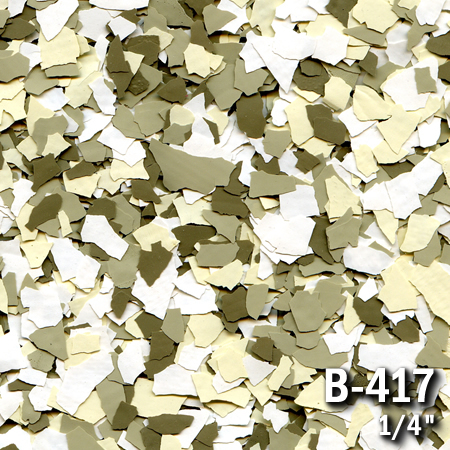 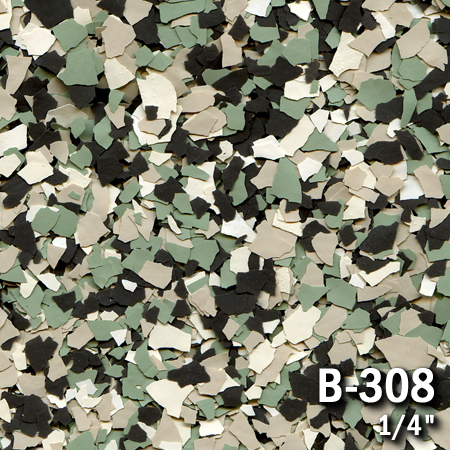 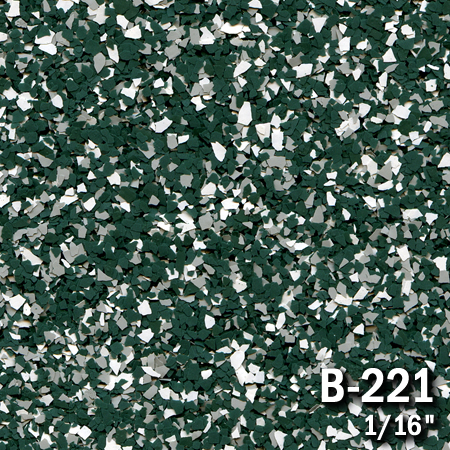 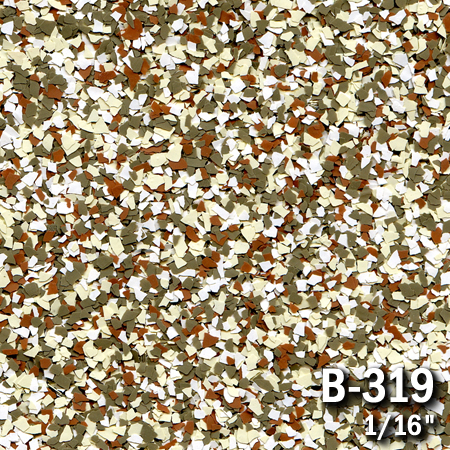 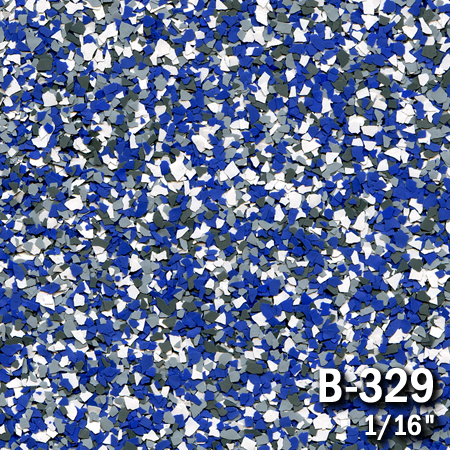 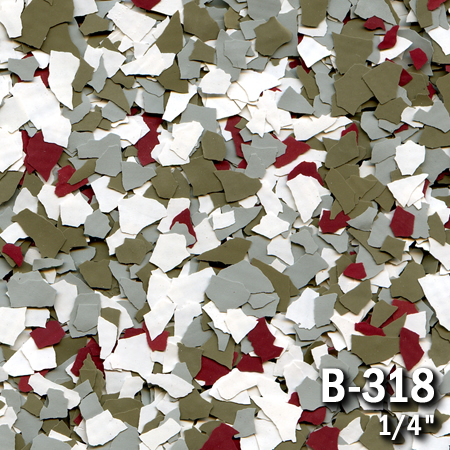 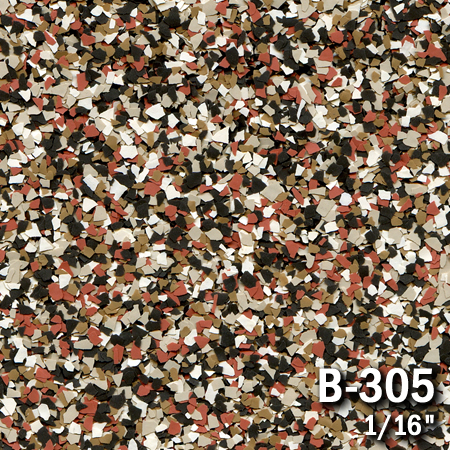 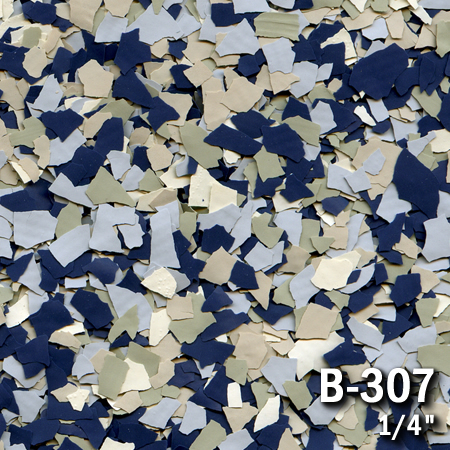 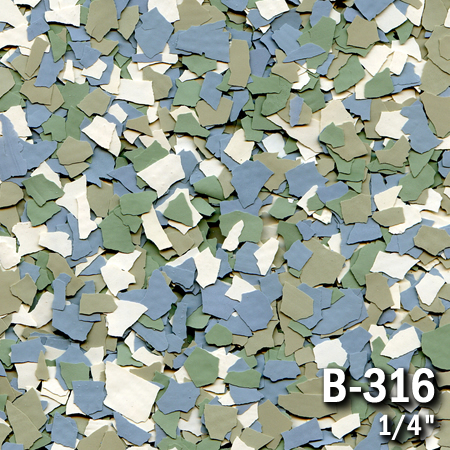 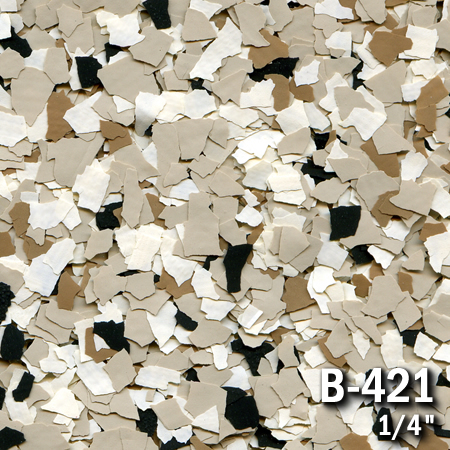 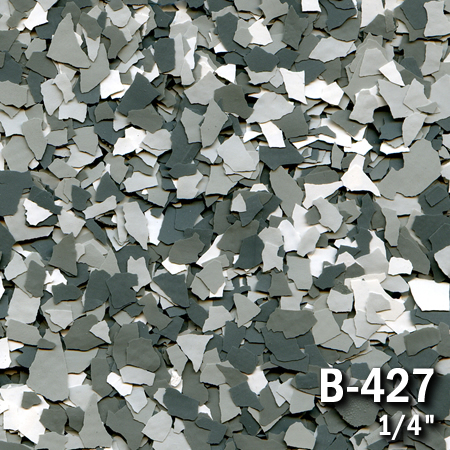 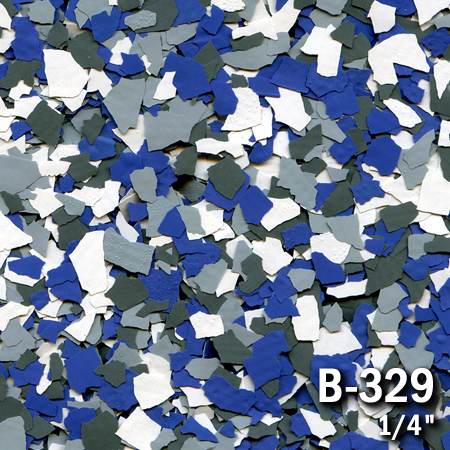 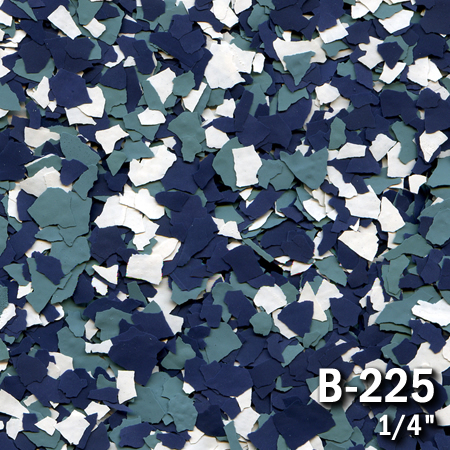 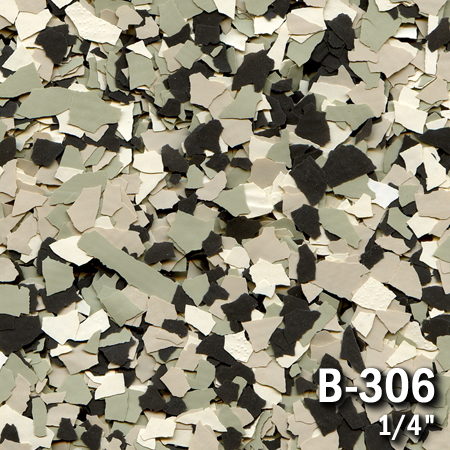 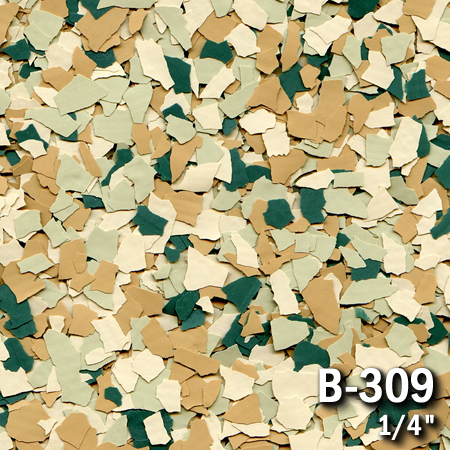 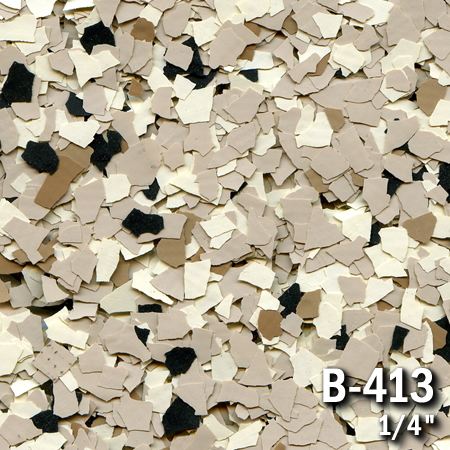 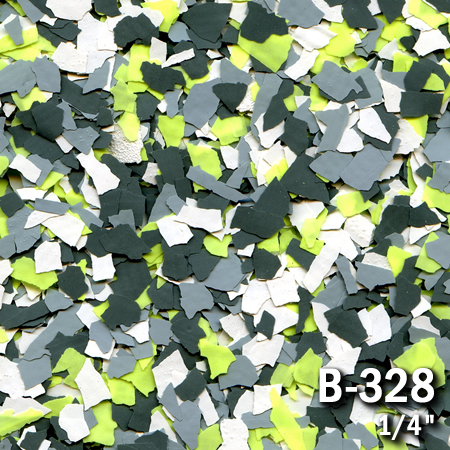 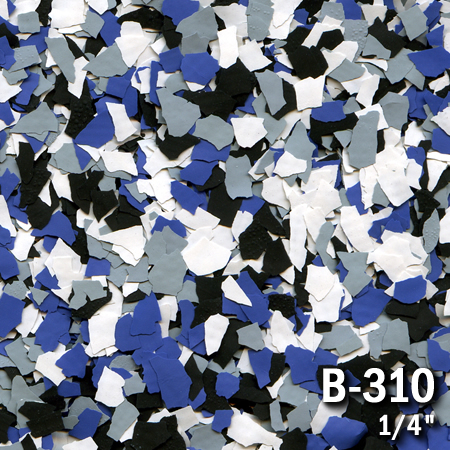 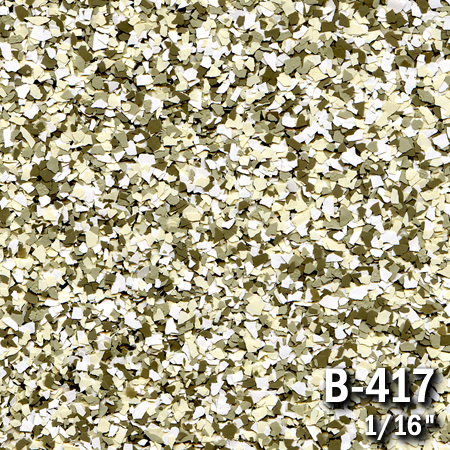 Our unique flakes are random in shape and sized within a standardized range and custom blended in order to match any decor. 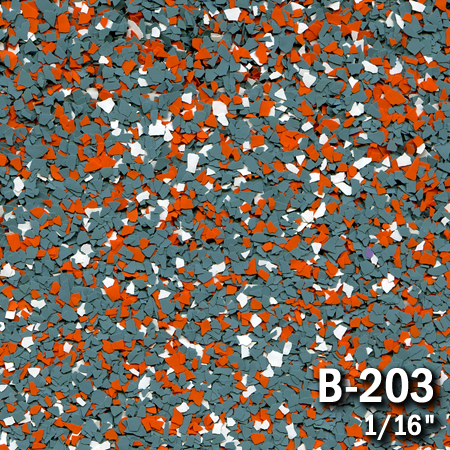 Epoxy flake floors continue to gain in popularity among residential, commercial and industrial projects because of their endless range, color-styles, texture, size and blending options. 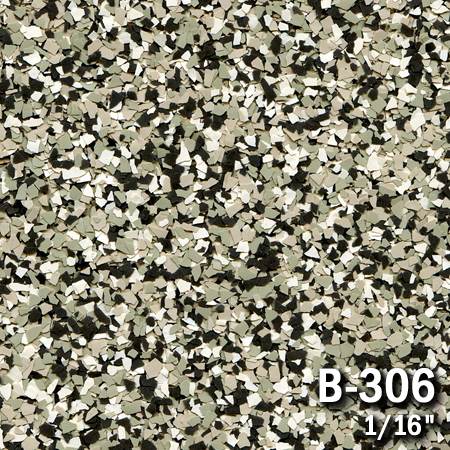 Be sure to contact us when you’re ready to have your epoxy flake floor installed. 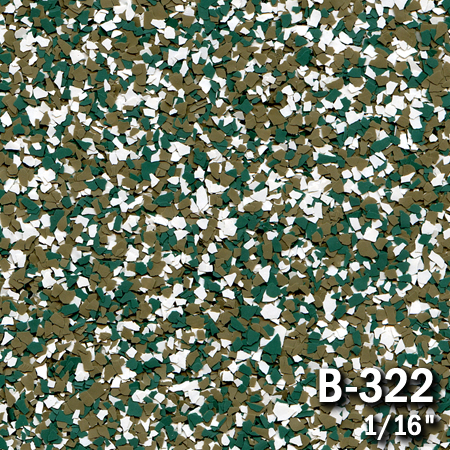 The colors below are shown in 1/4″ (Standard) and 1/16″. 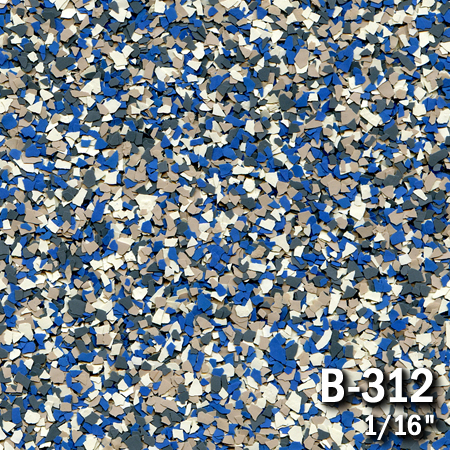 Please reference the number in the image when requesting a specific color for your project.